I wrote this post when we were out of town last month. I finally decided to post it in the hopes it might help another mother struggling with fatigue. And then it ends with that famous Bible verse. Be still. Know that I am God. The God that made me, the God that will sustain me when my body wages war against me. I keep singing the words over and over again, as I try to stop a troubled toddler’s cry in her bed. 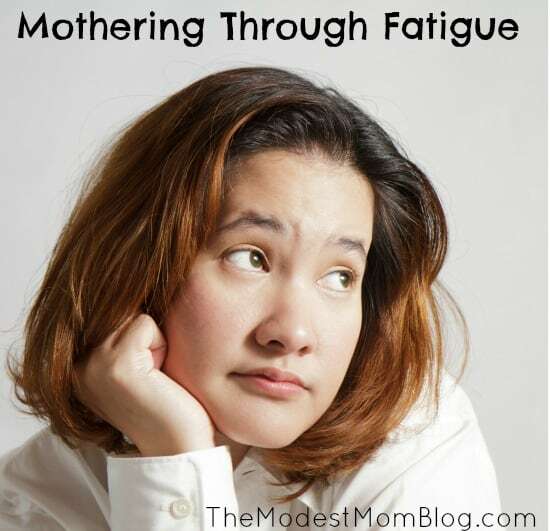 Fatigue is something I’ve struggled with through all of my mothering days. When it comes I just can’t fake it. My husband will put the children to bed for me and come in our bedroom to find me fast asleep already. The dishes will stay piled up in the kitchen, dinner will be extremely simple and the Duggars DVD’s will be played as a babysitter in the afternoon. It’s only a season though. I always rise above it though it might take months to do so. Having struggled with thyroid and adrenal fatigue problems since high school, I’ve learned to recognize when I’m doing too much and that it’s time to slow life down and rest. Go see a Doctor! Find a Dr. who believes in you and will worth with you until you see a light at the end of the tunnel. I’m currently working with a Dr. who is very knowledgable about thyroid problems and is treating me like no other Dr. has in the past. Many different things can cause extreme fatigue, including anemia, being low in B vitamins, thyroid imbalances, adrenal fatigue, chronic fatigue, hormone imbalance, low blood sugar, etc. Sometimes it is simply being a mother with lots of little ones, and you need more rest, which is easier said then done. Take your vitamins! A general multi vitamin is good, but most likely you will need more then that. If you are low in iron, try taking Floradix. I’ve heard that taking a B Complex supplement has helped a lot of moms. Start your day out right! I know mornings are so busy, but don’t skip breakfast. Make either a green smoothie or a yogurt smoothie. I like to add the Daily Boost Herba-Smoothie or Erin’s Super Green Drink smoothie mix from The Bulk Herb Store in my smoothies each morning. The Daily Boost Herba-Smoothie is on sale this month! 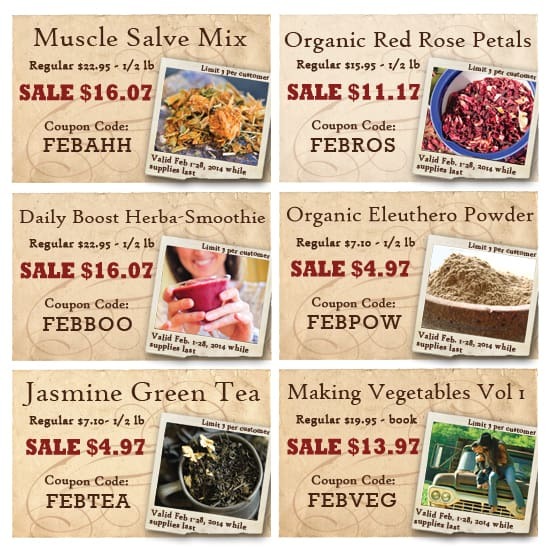 Below is a list of sales for February at The Bulk Herb Store. Get Enough Protein in your day! This can be hard to do, so I like to add a protein powder in my smoothies each day. My absolute favorite protein powder is from Young Living (if you order please enter my ID number! 1399664 ). It tastes great and smells good! Every time I open it up with a child standing next to me they comment on how good it smells. If I’m not able to get that, I also like the Jay Robb protein powder. If you don’t do smoothies, then eggs for breakfast is a good option. A salad with chicken on top for lunch, and a meal with some protein for dinner will help you get enough protein in your day. I find that I can tire out doing a hard workout, but T-Tapp provides the right amount of exercise to give me a boost for the day ahead. Don’t forget to smile! Fatigue can bring on depression. I’m not talking about clinical depression here (though it can), rather a general moodiness and struggling to stay upbeat. Get outside in the sun, dance with your children, turn on your favorite song, pray, pray, pray, call a friend, read a favorite book, and work on smiling throughout your day! These are just some of my tips I’ve learned throughout the years. I’ve love to hear any tips you have that has helped you with fatigue! This was an encouragement. I feel like such a wimp Sometimes because I get so tired and feel I can’t make it through without my nap. Weeks ago, I began taking one vitamin B complex early in the morning and that has made a HUGE difference! Thank you! I so needed this morning…been struggling with chronic low iron for years, had surgery a week and a half ago and this week I feel like I can hardly move. Sometimes we just need a reminder that this season WILL end. Yesterday I lost it and this morning I decided I wasn’t going to let that happen for children’s sakes. While I still feel tried and draggy, joy is a decision. As Ann Voskamp says, “I choose Joy”. Thank you for this. Iam experiencing many of the same issues you are. These are great suggestions. I have T-Tapp sitting on my dresser and have been meaning to start it for months, so thanks for the extra push. In addition to what you have shared, i wanted to mention that any woman who is a mom of many, especially children close together, should have iodine levels checked with a urine-loading test, as pregnancy and nursing use lots of iodine. I found my levels were almost depleted, which contributed greatly to the thyroid and adrenal issues. Also, I recently found out about another simple blood test for MTHFR gene mutations that can contribute to the body not being able to properly break down the B vitamins, so the vitamins I was taking weren’t helping. These mutations can also contribute to miscarriage. I have been learning so much of this is inter-related, so I just wanted to share, as it sounds like your health struggles have been similar to mine. Obviously, having lots of children, especially littles, is not conducive to getting extra sleep, but there are lots of other things that help, one of which is just knowing that there are other women out there also struggling. So I really appreiate you sharing, and letting me and others know we are not alone in the struggle. It is wonderful to be able to build each other up. The Lord may often give us more than we can handle on our own, but never without His grace to get through it. Thanks for all you do. Thank you for the advice! I have eleven children and have never been advised to have my iodine checked. Thank you so much this post! It was very m,uch needed this morning! I also did a post through my blog about this post. Thank you for this. That’s all I can say right now. Thank you. Jehovah-rapha, You are our Mighty Healer & Great Physician, I praise You and thank You that You care for Your children as a good Father. I ask for Your powerful and gentle touch and Your balm of Gilead to flow over Caroline, today. You are so faithful, and I thank You for the strength You’ve instilled in her for Your glory. May Your joy continue to give her strength and joy, especially on the hard days. We give You all the honor and praise – and ask this in Jesus name. Amen. I pray that the LORD, continues to encourage Your heart and body as your obedience to Him encourages others. Thank you, again!! This is great advice. Another cause of fatigue could be depression. This happens to a lot of people during the cold winter months, including me. If this is the case, sunlight, vitamin D, and fish oil work wonders, along with a steady dose of prayer. thank you for such a great post… I have a chronic pain condition that is usually well controlled, but its SO FLARED right now… pain in and of itself is tiring, but I’m also the mom to three little boys 9, 7, and 5 (I need their energy), this is our first year homeschooling and we just bought a new home and are preparing to sell our current one… many mornings I wake up almost in tears… it helps me to have a few minutes of my husband and coffee in the morning and it helps me SO much to just get dressed and put some makeup on! I also do better with getting up earlier and going to bed earlier..
blogs like yours are an encouragement, too! Very good, Caroline. I have 3 types of anemia and understand trying to parent through fatigue. Two can be treated with supplements but the third cannot. It leaves me often with low energy, and low blood pressure and frequent fainting spells. Your advice is good. I’ve recently learned, that I have to be selective the things I say yes to. Allowing my schedule to be too full puts me into melt down. Thank you for being a blessing. Yesterday was a tough day and this post was exactly what I needed. God bless! Thank you for this post. It really helped me see I am not the only one struggling with these problems . Thank you for this post. I’m going to talk to my dr next week about possible adrenal issues. I’m also going to look into T-Tapp. Do you use the ‘Mindful Movement for Healthy Hormones Workout’ which mentions it’s for adrenal fatigue? Thank you for posting this! I have folllowed your blog for quite sometime. I have struggled with thyroid issues post pregnancy and general fatigue the last few years. It is encourging to know I am not the only mother who feels this way and sometimes has to let things slid! I find that the mornings i can spend some time in God’s word , even if just 5 minutes helps to see me through tough days! It is hard for my husband to understand my constant fatigue as he is one of those people blessed with high energy! But as you say, it is a season, and choosing joy instead of succumbing to irritation will make for a happier homelife! Thank you so much for posting this. I’m a homeschool graduate still living at home helping care for a parent slowly dying from a cruel disease that is killing their brain. 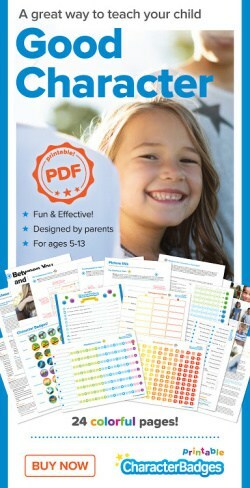 Add to that the challenges of being a moderate (5 kids) homeschool family. 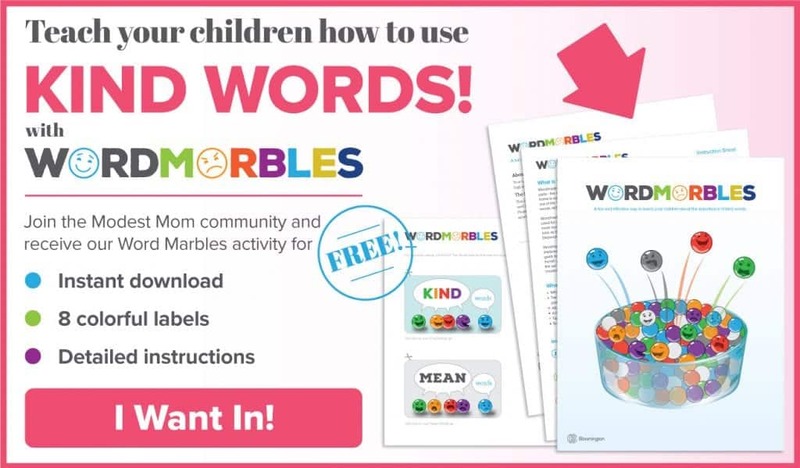 I plan to be a homeschool Mom but I already suffer from the extreme exhuastion and sometimes wonder if I can even be a good wife and Mom. I see your posts every week with the glow of happiness and wonder how you do it. I have a hard time without 5 small children. Thanks for sharing. Thought you might be interested in my health journey as well. I’m currently dealing with adrenal fatigue. This was encouraging. I need to continually seek the Lord for strength instead of trying to do everything in my own power. Oh, friend … I think every mother throughout the ages has felt this overwhelming exhaustion on at least some level. I just can’t believe that even those smiling mothers who seem to be almost superhuman in their strength and endurance have never had a day where the clouds threatened to engulf their days. It’s so discouraging when we feel we aren’t living up to the idea we have in our minds, and that only makes it worse. Praying the God surrounds you. With support, with love, and with a buoyant hope that sets your days back afloat soon! I have definitely felt this exhaustion. Your suggestions are wonderful and I am going to look into some of the items you mentioned. However, one of the biggest things that has helped me these past few months is to repeat “The JOY of the Lord is my strength!” I’m oftentimes exhausted but for me that is my big signal that I probably need to slow down and spend some time in prayer and let the Lord rejuvenate my spirit before I snap. Actually making that happen with 4 children 22 months – 7 years is sometimes extremely hard but I take advantage of the times I can do it when I can: in the morning before the kids wake up and my husband goes off to work, in the evenings after my husband gets home and the kids are playing with him, and during nap/quiet times. It is possible, we just have to make sure we are using our time wisely, drinking lots of water, resting when we need to, and spending time in prayer.